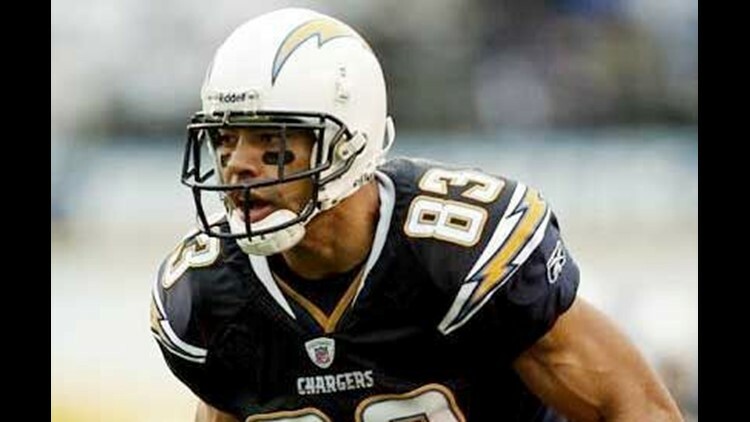 SAN DIEGO (AP) — San Diego Chargers holdout wide receiver Vincent Jackson can play in Week 5 if he's traded by next Wednesday, the NFL and the players union decided Thursday. The agreement essentially rolls what could have been a six-game suspension into four games. Jackson currently is serving a three-game NFL suspension for violating the league's substance abuse policy. He pleaded guilty in February to his second DUI since 2006. On Aug. 20, the Chargers placed him on the roster exempt list, meaning he'd be suspended for three games once he signed with San Diego. Jackson's representatives felt he shouldn't have to serve that suspension if he was traded. The agreement, which settles a grievance filed by the NFLPA, stipulates if Jackson signs a contract with San Diego and is traded by 4 p.m. EDT Wednesday, he will be placed on the Commissioner Exempt list for three games, retroactive to Game 2. That means he'd be able to play in his new team's fifth game. If Jackson isn't traded by the deadline, he'll have to serve the remainder of his three-game DUI suspension and serve the three-game suspension on the roster exempt list if he does sign, regardless of a subsequent trade. The Minnesota Vikings reportedly are interested in Jackson, who's coming off two straight 1,000-yard seasons. If Jackson is traded before Wednesday, he'll be allowed to report to the new club and, at the team's discretion, be eligible to participate in activities permitted by the substance abuse policy for the remainder of his suspension. When the DUI suspension ends, he'll be permitted to practice with his new team under the roster exempt rules before the fourth game, but will be unavailable to play and cannot be paid until the fifth game. Jackson's agents said earlier this month they had worked out a deal with another team, which they didn't identify, but that it fell apart because the Chargers wanted too much in return. Unhappy over not receiving a long-term deal, Jackson refused to sign the one-year, $3.268 million contract he was tendered as a restricted free agent. When he and holdout left tackle Marcus McNeill didn't sign their tenders by June 15, the Chargers were entitled to offer them 110 percent of their 2009 salaries, essentially cutting $2.5 million off the tenders. If either reports this year, it would be for the final six games in order to accrue a season. Smith didn't return a call seeking comment.